It's the largest global corruption scandal in modern history. Its web of bribes spread over four continents, implicated presidents and involved 12 countries. It also prompted the biggest fine ever levied by the U.S. Justice Department -- $3.5 billion. At the center of this scandal is a company that few in the United States recognize: Odebrecht. Based in Brazil, Odebrecht is Latin America's largest construction firm. It doled out nearly $800 million in bribes to individuals between 2001 and 2016. Some bribes filtered through the United States. 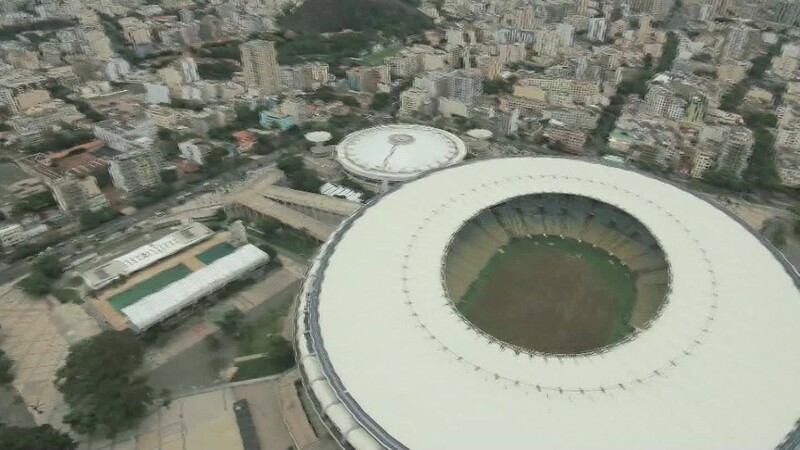 Investigators are determining whether the bribes extended to construction contracts for the 2016 Rio Summer Olympics and 2014 FIFA World Cup. Some former Latin American presidents face potential jail time for allegedly being involved in the bribes and one has gone missing. This month, a U.S. judge will rule whether Odebrecht must pay the record-setting fine announced in December. The fine could go as high as $4.5 billion. Odebrecht, which pled guilty, says it can't pay either amount. Most of its bribes were paid to get contracts from governments to build roads, bridges, dams and highways. Odebrecht officials shipped cash across the globe -- from one shell bank account to the next -- en route to politicians' pockets in a dozen countries, including Mexico, Venezuela, Colombia, Argentina, Peru and Mozambique. Bribes sometimes went through as many as four shell bank accounts before arriving at the final destination, according to the firm's plea agreement with U.S. officials. The fine -- coordinated by the U.S., Brazil and Switzerland -- only marks the start of Odebrecht's financial pain. Several Latin American countries are opening up their own cases and could issue more fines. "This case is the most important and momentous investigation into corruption crimes in the history of the region," Sergio Rodriguez, Argentina's federal prosecutor investigating Odebrecht, told CNNMoney. The first signs of bribery popped up three years ago in a Brazilian investigation dubbed "Operation Car Wash" which led to the arrest of an executive at Petrobras, Brazil's government-run oil company. Petrobras also played a leading role in the bribery ring. The corruption probe across Petrobras and Odebrecht has imprisoned Brazil's most prominent politicians and business owners. The scandal is a central reason why Brazil is in its worst recession in history. The Petrobras executive later named names in a plea agreement. Investigators later found that Odebrecht replicated its bribery model across most of Latin America and Africa. The case continues to reverberate globally. In March, Colombian president Juan Manuel Santos admitted his re-election campaign in 2014 accepted a donation from Odebrecht. Santos said he had no knowledge of its origin and called for an investigation. Odebrecht received public works contracts from the Colombian government. In February, police in Peru raided the home of former president Alejandro Toledo for allegedly accepting a Odebrecht bribe. Toledo denied the charges via Twitter but has gone missing, is thought to be in the U.S., and could face jail time. Brazil's former president, Luiz Inacio Lula da Silva, faces potential prison time for allegedly accepting Odebrecht's paying for his family's vacation home. His successor, former Brazilian president Dilma Rousseff, was impeached last year for separate charges, though the massive corruption scandal loomed over her ousting. Last week, Brazil's former House Speaker, Eduardo Cunha, got 15 years in prison for, among three charges, money laundering bribes involving Petrobras, Odebrecht and politicians. Brazil's current president, Michel Temer, has lost five of his cabinet officials since taking office in May. Many of them resigned after bribery allegations involving Odebrecht surfaced. The company's former chief executive, Marcelo Odebrecht, was sentenced to 19 years in prison a year ago. In Argentina, Rodriguez, the federal prosecutor, is starting to investigate $35 million in Odebrecht bribes to middle men that allegedly gave the money to Argentine government leaders. He says he doesn't know how many people are involved or how long the case will take. More charges are likely in the pipeline across Latin America. To get shorter prison terms, Odebrecht officials struck plea deals with investigators, naming names and giving details about the breadth of the scheme during closed door testimonies. Much of their testimonies is still sealed up but leaks have revealed hints at what's to come. The music could stop for many more government leaders across the continent once the full testimony is public later this year. 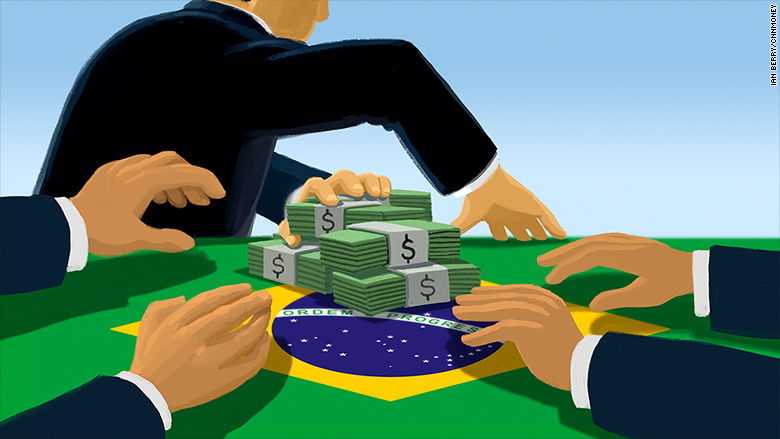 "The tentacles potentially go sea deep in the Brazilian government," says Kathleen Hamann, a lawyer at the firm Pierce Atwood and former U.S. Justice Department official who specializes in foreign corrupt practices in Latin America. "The domestic impact is potentially very grave." No leader appears to be immune from the investigation in Latin America, which has long had a high tolerance for corruption. The difference this time around is two things: 1) the unprecedented size and scope of the case and 2) a key law passed in a few Latin American nations called "corporate liability." Corporate liability means it's easier for investigators to find a company guilty instead of its individual employees. That increases a firm's willingness to cooperate and play by the rules because the company's shareholders want to make sure they don't lose their money. Still, prosecutors face a tricky problem: They could risk jobs for thousands of workers if Odebrecht goes into bankruptcy due to a flood of fines, experts say. It's not just its own employees. The company does business with many other firms across Latin America that depend on Odebrecht's business. With many countries' economies struggling to grow, especially Brazil with record-high unemployment, prosecutors' desire to protect workers could allow Odebrecht to survive. "No one wants Odebretch to go into bankruptcy...the government wants to preserve jobs," says Alexandre Garcia, associate director of Fitch Ratings in Brazil. "Does it survive? Well yes, it does. But survival doesn't mean that it won't come out of this smaller."